Welcome to this week’s blog post. This week we’re taking an in-depth look at that most impressive tool for friction fire lighting – the bow drill. We will be teaching you about the history of the bow drill, the theory behind its use, the component parts of the bow drill and the woods you need to make it. We will also be taking a look at natural cordage, troubleshooting and the mental attitude that it takes to succeed when using the bow drill. Remember, you can read the whole thing or skip straight to the part that interests you the most. Bow drills date back about as far as the history of human civilisation. It’s believed that they were used as far back as the 4th and 5th millennium and examples of drills were also found in parts of the Indus Valley Civilisation (around 3300 – 1900 BCE in Northwest South Asia). Bow drills, one of the earliest forms of friction fire lighting were also used by native Americans, Eskimos and aborigines ins Alaska and Northern Canada. While other friction fire lighting methods, such as the fire plough, potentially date back even earlier the bow drill gives the user a major mechanical advantage – in that the cord used with the bow turns the drill, rather than the drill being turned by the user’s hands. If you’re not yet familiar with the basics of the bow drill then have a quick look at our blog – introduction to friction fire lighting. With this blog, we’re focusing on making and using a bow drill in the UK – where we are based. That means the woods and cordage that we’re looking at will be readily available in the UK. If you would like to learn more about friction fire lighting then sign up to our one day course. The theory behind the bow drill is similar to the theory behind all friction fire lighting methods. That is, grinding two combustible materials together until the friction takes the material beyond its auto-ignition temperature – creating an ember which is then used to ignite timber. In the section below we will teach you how to make a bow drill, covering the component parts, suitable woods (and how to identify them), how to carve the hearth, the drill, and the bearing block. We will also provide you with an introduction to using natural cordage. The bow drill is composed of four main parts – the drill, the hearth, the bow and the bearing block. Take a look at our blog on an introduction to friction fire lighting where we introduce you to these components. Don’t worry – we’ll cover them in more detail below. The different parts of the bow drill. The drill should be around 20cm in length and between 2cm and 3cm in diameter and as straight as possible. The end of the drill that will be in contact with the hearth needs to be carved into a blunt point; while the end that is in contact with the bearing block needs to be carved to a sharper point – this will help to reduce the friction between the drill and the bearing block. The hearth is essentially a rectangular block. It should be made of the same wood as the drill and about as thick as the diameter of the drill, around 40mm wide and 30cm long. We will be looking at the cordage needed for the bow in more detail further on in this blog. The body of the bow itself can be made of any wood that you have at hand. Unlike the wood that you would make a hunting bow out of the wood for the bowdrill needs to have as little spring in it as possible. It needs to be slightly curved and should measure the length of your fingertips to sternum. Carve the bearing block so that it fits comfortably in your hand. It can be made of any wood that you have at hand, even a stone with an indent will do. Choosing a suitable wood is key to success when it comes to using a bow drill. The woods listed below are not an exhaustive list but a small sample of those that might be suitable when practicing bow drill in the UK. Bushcraft is all about living with nature, not about surviving despite it. One of the key bushcraft skills that anyone can have is the ability to identify the surrounding flora and fauna. This is not an exhaustive guide but a brief run through of how to identify the trees listed above. A note on wood: don’t take live wood. Look for dead wood that hasn’t started to decay yet, it should break free from the tree with relative ease – no need to use a knife. Leaves are feather shaped with around 5 -7 miniature leaflets. The edge of each of these is serrated and there may be what feels like hairs on the underside. Bark, on the more mature trees, takes on a deeply furrowed and cork-like appearance. Acer campestreNative to the UK Field Maple trees can grow to up to 2o metres and live for up to 350 years. 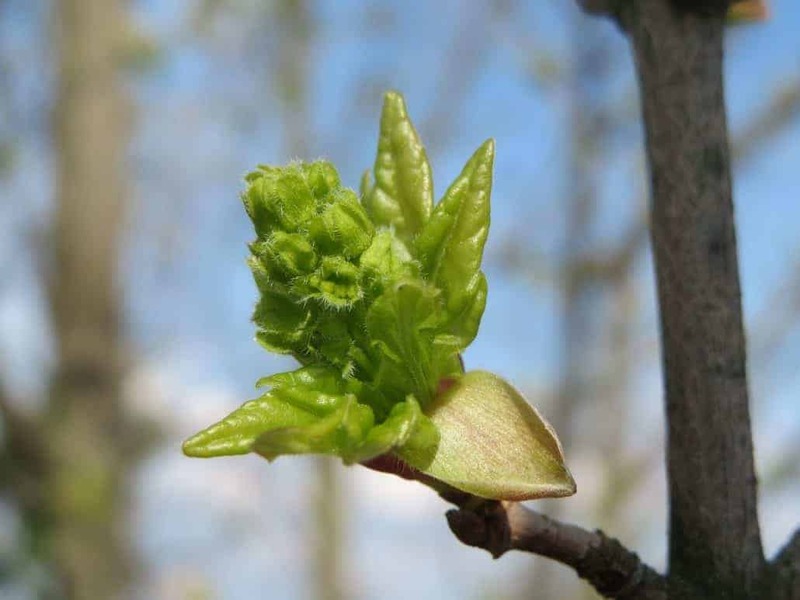 A deciduous tree, the leaves of a field maple are small, dark green and shiny with five lobes and rounded teeth. These fade to yellow before dropping off in the autumn. Their bark is light brown and flaky and becomes corky with age. The twigs are slender brown and in autumn have small grey leaf buds that grow on long stems. Willow (Salix singular or Salice plural for those of us who like Latin) is a varied and complex genus with many different species recognised. 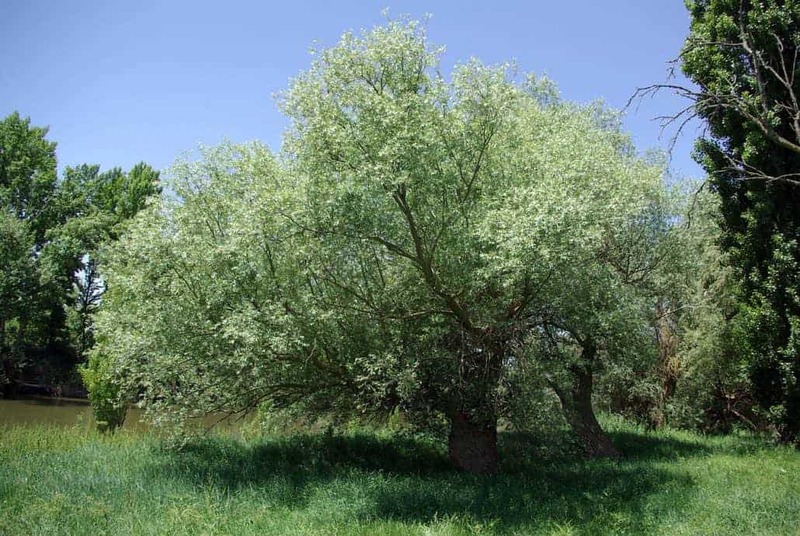 The Salix fragilis crack willow (pictured) is one of Britain’s largest native willows. Mature trees grow to around 25 metres, the bark is dark brown and as it ages deep fissures appear. The leaves on mature trees are hairless and shiny on the top, catkins will appear before the leaves. Native to the UK, Hazel is one of the most useful trees out there for bushcraft. In ancient mythology, a hazel rod is supposed to protect against evil spirits and the tree itself was, in medieval times, considered a symbol of fertility. 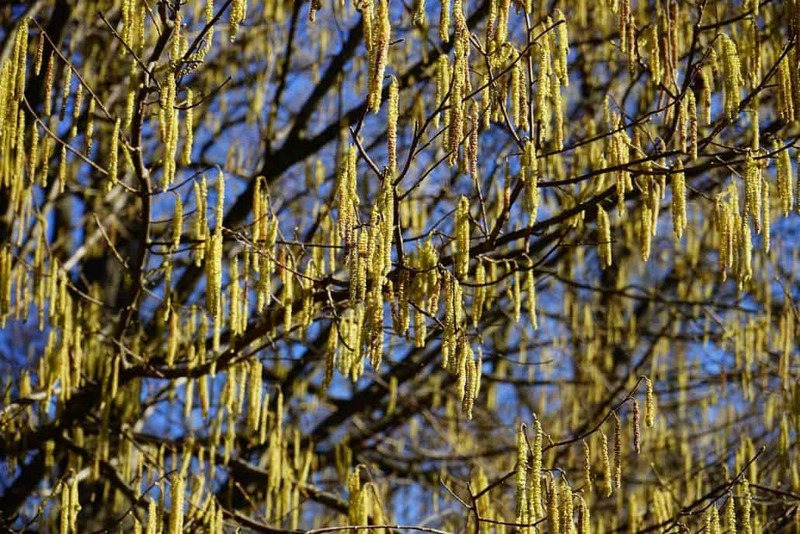 Male and female leaves live on the same tree, yellow male catkins appear around February before the leaves do. Hazel is often confused with Elm, however, the leaves of hazel are soft to the touch – while elm leaves are roughly hairy. 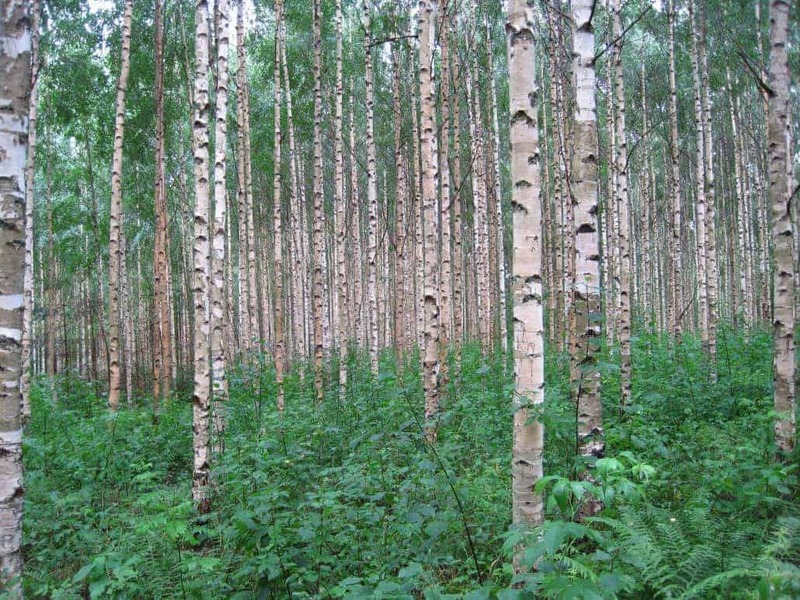 There are many types of Birch trees in the UK, one of the most useful in terms of bushcraft is the Silver Birch (Betula pendula). 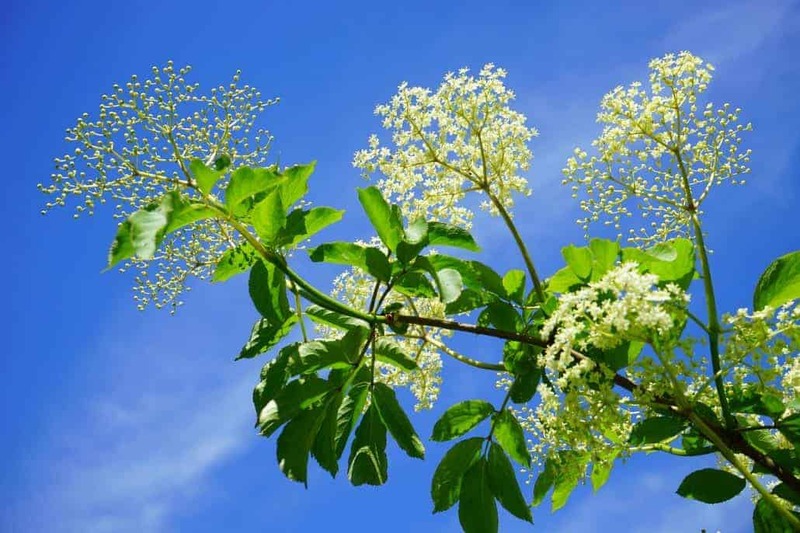 Mature trees can reach 30 metres in height, the bark is a white/silver colour and the leaves are small and triangular with a tooth edge – these are typically green but fade to yellow in the autumn. 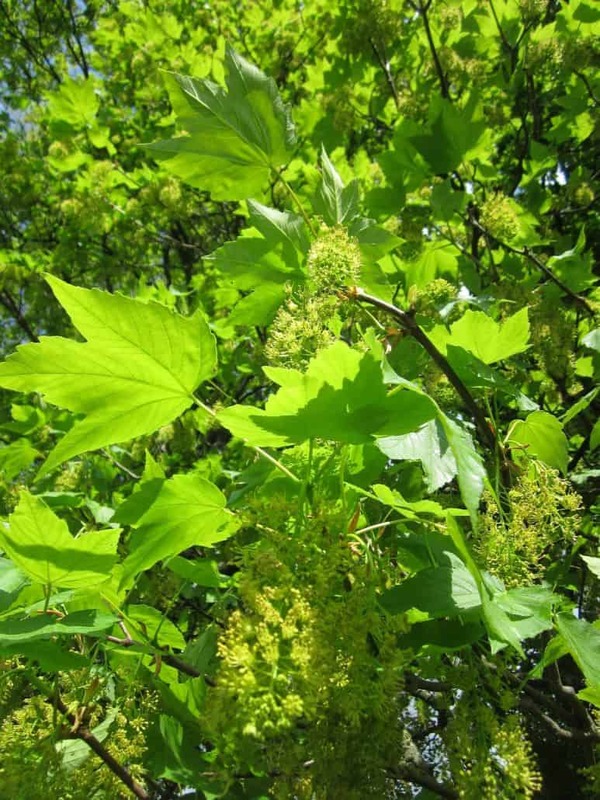 The sycamore is a non-native species to the UK. Though having been introduced at some point in the middle ages it is now naturalised. Mature trees can grow to around 35 metres and their lifespan can stretch to 400 years. The bark on mature trees becomes cracked and forms plates when it ages. On younger trees the bark is pinkish/grey and smooth to the touch. This next section is going to talk about how to carve a bow drill. Remember though that practice makes perfect – so keep trying even if it doesn’t work the first time around. When carving the drill piece of your set be sure to start with the straightest piece of wood that you can possibly find. It should be around 2-3cm in diameter and around 20 cm long. The end that will be in contact with the hearth should be carved into a blunt point while the end that will be in contact with the bearing block should be carved into a narrower point (though not too sharp). Square off three of the four sides to form a rectangle around 4 cm wide and 5mm thick. Narrow a depression into the hearth in the centre of the blog then, using the bow, wear down this depression into a smooth bore then cut a V shape extending towards and over the edge of the hearth. The bearing block should fit comfortably in your hand with a notch in which the top of the drill will sit. The bow can, unlike the drill and the bearing block be made of any wood. It need not be springy, like an archery bow, but should be slightly curved. Cordage is key when it comes to your bow drill, earlier this month we looked at making a bow drill using paracord but today we’re going to look at using natural cordage. Natural cordage is, of course, the way that the bow drill would be have been used by people in primitive times. Plants can be used for natural cordage with the bow drill. In the UK the stems of nettles can be used but creating cordage from nettles can be really rather labour intensive. However, making natural cordage from nettles can also be a rewarding experience. To learn more about how to make natural cordage have a look at our blog here . Sinew is one of the strongest natural cordages available. The tendon sinews of game that you’ve trapped or hunted, of course only in a survival situation, are are the most apt source of natural cordage. The sinew will need to be dried and prepared before it is ready for use. To learn more about natural cordage why not come on our weekend bushcraft course – click here for more information. Using your bow drill takes a lot of effort, both physical and mental but succeeding with it is highly rewarding. Here are a few tips to help you along your way. Fire lighting with a bow drill should be approached in the same way as fire lighting with sparks. You need to prepare your tinder and kindling with the utmost care. Making fire by friction takes a lot of time and a lot of practice, one of the best ways to learn how to make fire by friction is to get help from an expert instructor but if you want more advice read our blog on bow drill troubleshooting. Friction fire lighting is not easy; maintaining a positive and strong mental attitude is key to success – this is particularly true when trying to light a fire by friction in the wet weather. Friction fire lighting is a great way to get children started with bushcraft. While it might be a bit much to expect children to succeed with friction fire lighting from the off (or for anyone to do so for that matter) it can be a good way to show them elementary elements of friction fire lighting. For example, you could introduce children to tree and plant identification, cordage selection and even morals around trapping and skinning animals. I really like using Hazel on Ivy. Hazel on Hazel works really well too.